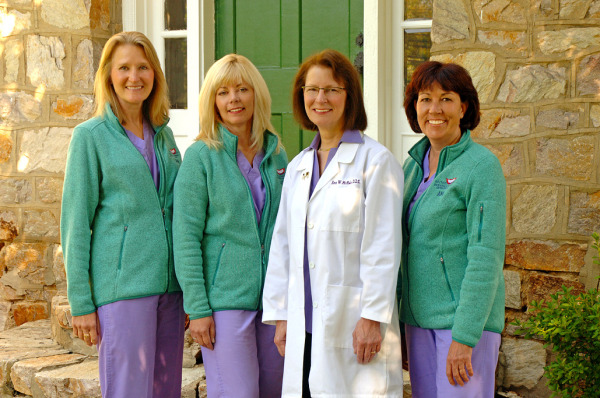 At Phoenixville Family Dentistry, we focus not only on treatment, but prevention. We can cerainly get your teeth and gums healthy and repair any damage, just like any dental office can. But we go a step further and show you how to avoid dental problems before they become problems. We start with a very through examination. Most of our patients say they've never had such an extensive examination of their gums or teeth. We examine your bite, how your teeth fit together, we look for oral cancer, gum disease, signs of wear on the teeth and, identify problems that you may encounter at a later date. We want to head off problems and make your teeth and gums healthier so you will be spending less time in the dental chair! Digital X-rays: Provide quality images with much less radiation than conventional x-rays and you see your results immediately! The Laser Scanner Finds Ultrasmall Cavities Years Earlier: If you are like most of us, you've had the dentist find a cavity, place a rather large filling, and wonder why the filling is so large if the cavity wasn't there just six months before. The answer is that the cavity was there six months before - it just wasn't big enough to show on X-rays, and it wasn't visible to the dentist yet. The laser scanner finds ultrasmall cavities years earlier, when the cavity can be repaired with a small invisible bonded filling. Intra-Oral Camera: This amazing device is a miniature video camera that displays a closeup picture of the inside of your mouth. You can see for yourself what work needs to be done and which teeth are doing fine. Infection control is also very important to us and we meet or exceed the standards recommended by the American Dental Association (ADA), the Occupational Safety and Health Administration (OSHA), and the Center for Disease Control (CDC). When you visit us, our first goal is to establish a feeling of trust. Our job is to listen to you, respect you, educate you and not judge your decisions. Dr. McHale understands you might be anxious about the process of receiving dental care. She makes it a point to carefully explain your proposed treatment plan and unhurriedly answer all of your questions. Only then will she take you gently through your treatment. Modern dentistry has many techniques, local anesthetics and relaxation methods to increase your comfort. The more involved you are in making your dental health decisions, the less room there is for fear and uncertainty.